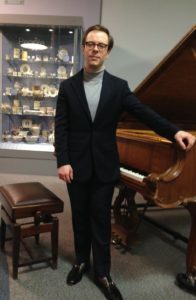 On Tuesday, March 12th Ashley Fripp gave a piano recital of works by Schubert, Chopin and Schumann in the Pottery Room at Sunderland Museum. This was enjoyed by a good, enthusiastic audience. The recital began with Four Impromptus D899 by Schubert which were beautifully played with much thought and care, particularly the third one. Following this we heard Four Impromptus by Chopin, a complete contrast to the Schubert and brilliantly played, giving a good end to the first half of the recital. After the interval Ashley Fripp opened the second half with a performance of Fantasiestücke, op.12 by Schumann. This was played with great authority and good insight to the work which was obviously enjoyed by the audience. To end the recital we heard Scherzo no.4, op.54 by Chopin which was a good climax to the evening however, the audience wanted more and Ashley finished with an encore, a gentle Chopin Waltz op.70 no.2. 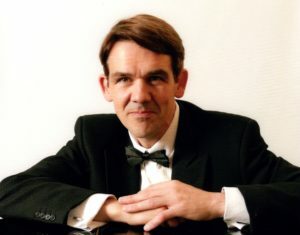 Ashley Fripp is a young British pianist who has earned a fine reputation, performing throughout the world and winning many prizes. 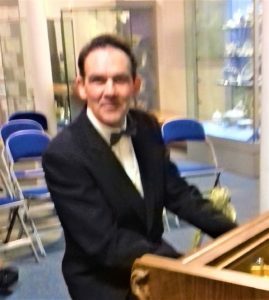 This is his third visit to Sunderland Pianoforte Society where he always enjoys playing their priceless Steinway piano and anyone who missed last night’s recital missed a treat. 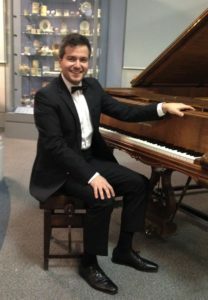 The next recital will be on Tuesday 9th April at 7.15 and will be given by Valentin Schiedermair who will be playing works by Bach, Mozart, Chopin and Mussorgsky. This entry was posted in Recitals, Reviews on 14/03/2019 by David. This entry was posted in Recitals on 19/02/2019 by David. The 76th season continued with a recital by the brilliant young British/Romanian pianist Florian Mitrea who was sponsored by Making Music’s Philip and Dorothy Green Award for Young Concert Artists Scheme. 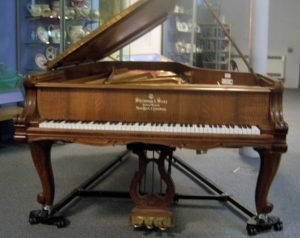 The recital, which was held in the Pottery Room at Sunderland Museum, was well supported by a good audience who heard a recital of well loved piano music and were reluctant to leave without an encore of Chopin’s Étude in C minor, op.25 no.12. The recital began with a beautiful performance of Mozart’s Fantasia in C minor K475 which was followed by Beethoven’s Sonata in C major, op.53 [Waldstein]. Again, a powerful and exciting performance making a good end to the first half of the recital. The second half of the recital was all Chopin, beginning with a very exuberant performance of the Scherzo no.1 in B minor, op. 20 which was followed by two beautifully played Nocturnes,op.27 no.1 in C sharp minor and op.55 no.1 in F minor. Florian ended his recital with the Andante Spianato and Grande Polonaise which was played with great authority and we all had the impression that he had enjoyed the evening as much as we had. 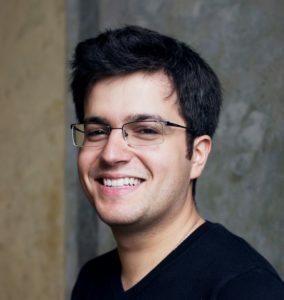 Florian Mitrea has a very busy schedule, performing all over the world, and members of the Society are most grateful to Making Music for giving us the chance to hear such a talented young pianist who we hope will visit us again in the future. This entry was posted in Recitals, Reviews on 13/02/2019 by David. This recital is kindly supported by Making Music’s Philip and Dorothy Green Award for Young Concert Artists scheme. This entry was posted in Recitals on 02/02/2019 by David. 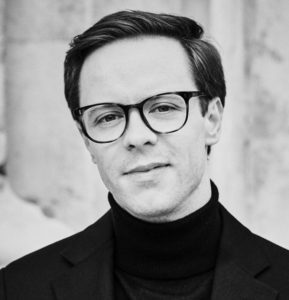 An audience of around fifty took in this special event, when Murray McLachlan, Head of Keyboard Studies at Chethams, Manchester, played a selection of pieces from the 2019-20 Piano Syllabus. As he was also a co -author of the Teacher Notes on these pieces produced by the ABRSM, and a prominent solo pianist in his own right, the evening was greatly anticipated. The audience were not disappointed, as he endeavoured to play and comment upon a vast selection from all the grades. The first half consisted of the early grades. With Murray’s first-hand knowledge as a previous examiner, he was able to give us an insight into what an examiner was looking for (style and character), and many of the pieces, despite their simplicity, came across as beautiful and charming in their own right. It was almost an impossible task to play all of the 48 programmed pieces in their entirety, and we had to be content to listen to extracts from some of the pieces in the later grades. However, his friendly style of delivery, and his insistence on the pieces being alive with characterisation and expression, rather than military precision, more than made up for this. He still managed to finish with the full version of Gershwin’s Prelude No 1 from Three Preludes. with aplomb. This entry was posted in Reviews on 26/01/2019 by David. Friday 11th January, 2019 @ 7.00 p.m.
at the Sunderland Museum & Winter Gardens. This entry was posted in Uncategorized on 28/11/2018 by David. 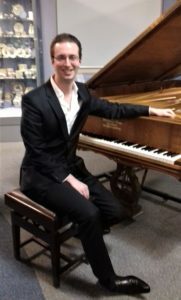 Despite a cold, wet evening a good audience attended a recital given in the Pottery Room at Sunderland Museum on Tuesday evening and they were not disappointed by the performance given by British born pianist Jamie Bergin, who impressed everyone with his thoughtful playing. The evening began with a beautiful and relaxed performance of the Moments Musicaux by Schubert which was followed by the Sonata No. 26 in E Flat, op. 81a [Les Adieux] by Beethoven and although both works came from around the same time there was a marked contrast in style. The more simple style of the Schubert [particularly in Nos. 3 and 6] was complemented by the middle period Beethoven which ended with an exciting third movement. After the interval there was a rarely performed work by Debussy, Images Oubliées. This was a good introduction to Gaspard de la Nuit which ended the programme. Here, we were left in no doubt about Jamie Bergin’s virtuosity. The performance was given with great authority, with the technical problems presenting no difficulty. Scarbo was particularly stunning and made a good end to the evening during which we had heard a performance of great maturity, technique and dynamic range which went from ppp (without losing the quality of sound) to louder passages which were never too loud. Jamie has now finished his tour of London and the North East and is returning to Germany but we hope that he will come back in the not too distant future. This entry was posted in Recitals, Reviews on 21/11/2018 by David.